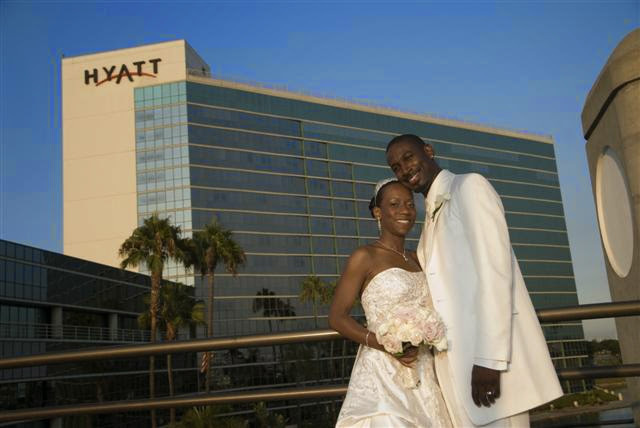 Treat yourself to the premier setting of Hyatt Regency Long Beach. Only steps from major attractions, shops, and entertainment, our luxurious hotel in Long Beach lets you easily explore the entire area. Walk to the Aquarium and Queen Mary, stroll along the harbor, play on the beach or take in a performance at the Convention and Entertainment Center right next door. With famous theme parks just a short drive from our Long Beach hotel, even the busiest business traveler can share some of the fun. Within our inviting accommodations, enjoy deluxe guestrooms, exciting new dining, extensive business amenities and the world-class service that have made us the standout hotel in Long Beach. As far as reception sites for hotels, this is one of the nicer and more popular ones. The major attraction is the lake/lagoon that surrounds the hotel. With the Pacific Ocean so close by you may wonder why not just go there. Long Beach is a little funny that way, the ocean isn't exactly spectacular at this location. There are a lot of areas where the water is okay, but with a lot of channels, you can easily have buildings or boats interrupting the background. This little area by the hotel is all you really need for some good quality shots, and it's close and simple to get to. There are a couple of nice bridges which are perfect for portraits. 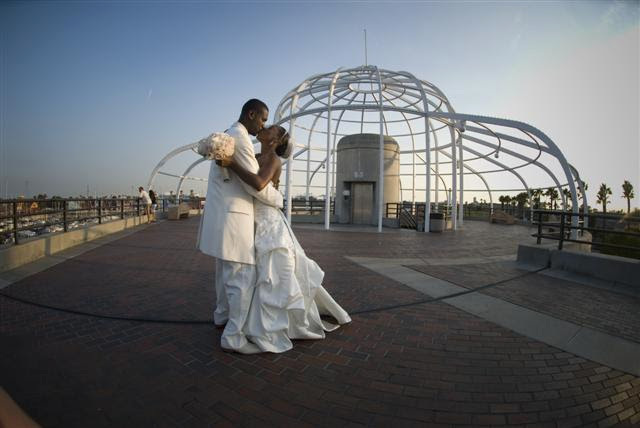 As mentioned in other Long Beach venue reviews, Long Beach is an excellent location to host a wedding reception. It's centrally located between Los Angeles and Orange County close to a few major freeways. It's easy to get in and out of Long Beach even on hot summer weekends. The Hyatt is on Pine Avenue right next to the convention center. It has so much to offer in regards to photographic potential. As far as the reception ballrooms are concerned, we've been to each one, they are very nice. We've done a number of weddings on the grounds next to the lake, and some of the resulting images have won an award in print competition, All in all, this is an excellent location to host a wedding. It has a broad appeal to so many different clients we've served over the past eight years of going to this venue. We love it! The photographic potential for this place is off the charts! It has greenery, it has water, it has inviting architecture. Overall, this place is wonderful!!! 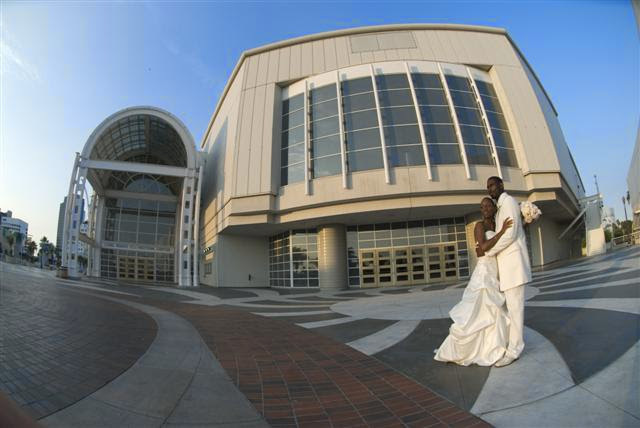 Multiple wedding receptions occur at the same time at this facility. Since it's next to the convention center there are often a lot of people in and around this area. Parking can be difficult at times. If you aren't careful, cars and traffic can end up in the pictures by the lake. This is a great venue, very easy to work with, the staff is great, the food is great. For a hotel wedding, this is an excellent choice. The architecture is just fabulous. The rooms are large and spacious. You won't be sorry if you host your wedding reception here.